Martin-Baker America was founded in 1986 and was originally located in North Virginia, but, in 2000, MB America relocated to a brand-new facility in Johnstown, Pa. MB America manufactures and produces parts for ejection seats, mainly for the JSF programme for the F-35 aircraft, as well as crashworthy seats for helicopters. 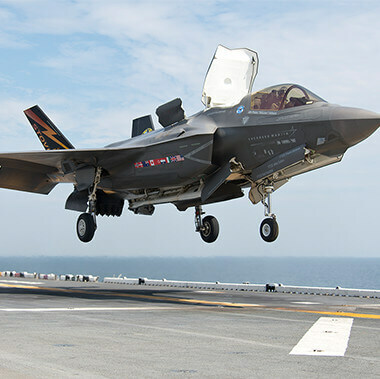 Production of the ejection seat for the Joint Strike Fighter is of significant importance to Martin-Baker America, as this programme is expected to continue for a long period of time and supports a strong business base for expansion into other aspects of aircrew escape system, safety and survival areas. The American unit oversees the MRO activities for all applicable Department of Defense platforms. In addition to MRO, this team provides oversight on numerous personnel, training maintainers how to effectively service all varieties of Martin-Baker seats in US platforms. MB America started off as 3 employees – today, there are over 150 employees at our US facility and this number is ever-growing as we settle into our second (and larger) facility in Johnstown, PA.